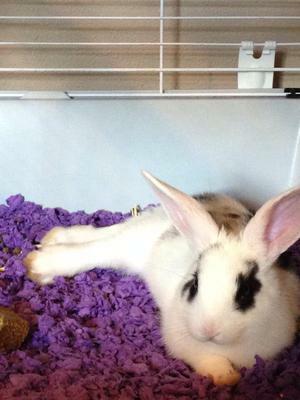 The only information I got from the store I bought my rabbit from, is that both of her parents were small. 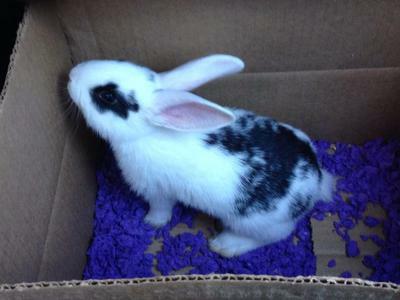 She's a really sweet bunny who is young and loves to run and hop up into the air with a little twist. Whenever she's in her cage she will hop towards me whenever she see me then I will open the door so she can stick her head out for me to pet her she even rubs her nose on mine. She believes it's all about her if your doing something else for example texting she will hop over to you and demand you put it down and watch her. 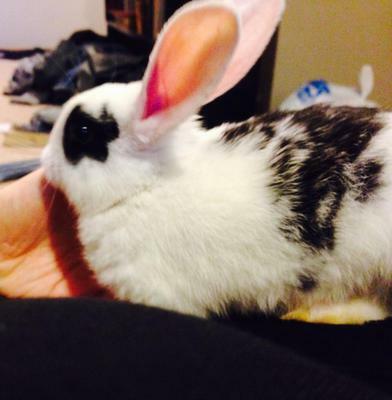 Because she was rescued with all of her brothers and sisters I never got to find out what type of bunny she is so please if you could help me I'd love to find out what breed my little Oreo is. This is an English spot, I got many of this in my home. May I share with your article on my blog Costumes-Now with a link for you as an author? 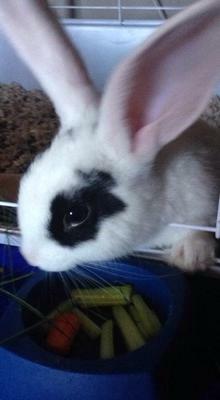 English spot cross Netherland dwarf because of the eyes!